Let’s face it, home automation or IoT gateways are just boring cubic, rectangular or cylindrical boxes without soul that just transmit packets and gather data between different devices. 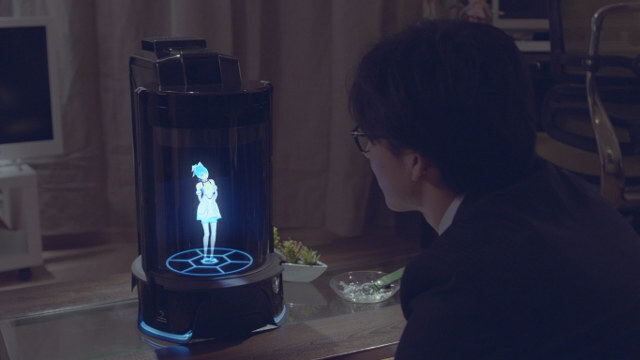 But don’t despair, as Vinclu, a Japanese start-up, has come up with Gatebox an IoT gateway with a virtual girl, named Hikari Aizuma, that welcomes you back home, turns on the TV on request, wakes you up in the morning and gives the day’s weather forecast, and more! 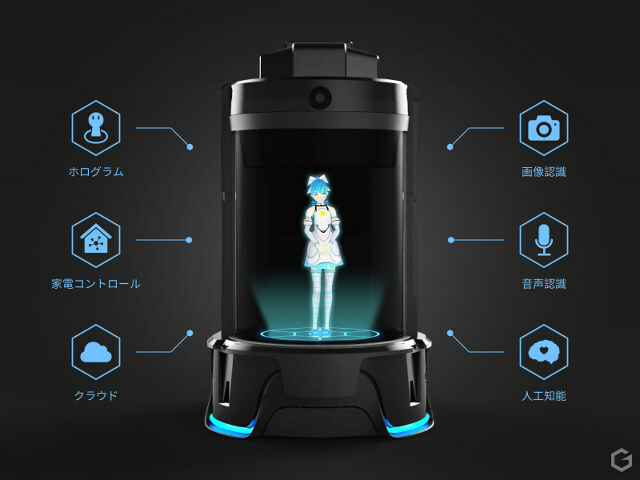 The product is still in development, and we don’t known many details, but the Gatebox is said to uses video projection technologies and various sensors, and you’ll be able to select other characters. The company has raised 90 million JPY (~$770,000 US) and is currently recruiting engineers to complete hardware and software development. The device is expected to be launched at the end of the year via a crowdfunding campaign. You can watch the concept video below. It’s in Japanese, but it still gives a good idea of what they expect it to do.